Number of people employed at farm: 8-10 family members work on the farm; an additional 12-14 pickers hired during the peak of harvest. Most of these are friends of the family. A law was recently passed in Guatemala that requires employers to register workers as employees and this provides them with government social and healthcare benefits that they didn’t previously have access to. Variety: 25 ha planted with bourbon; 6 ha planted with caturra; 3.5 ha planted with catuaí; 3.5 ha planted with villa sarchí; 15 ha planted with catimor. Clean water then used to rinse the parchment which is then moved to a mechanical washer and finally transported to the drying patios or beds. Finally, the coffee is deparched and packaged. Number of people employed at farm: 18 permanent; 100-150 temporary/seasonal pickers. A law was recently passed in Guatemala that requires employers to register workers as employees and this provides them with government social and healthcare benefits that they didn’t previously have access to. 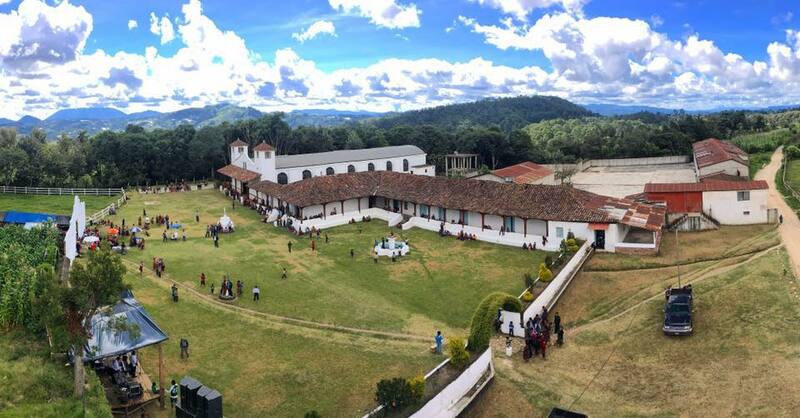 Luis Pedro Zelaya Aguirre is the patriarch of the Zelcafé group of companies, which includes Bella Vista Mill (see below) and several farms either owned or managed by the group. 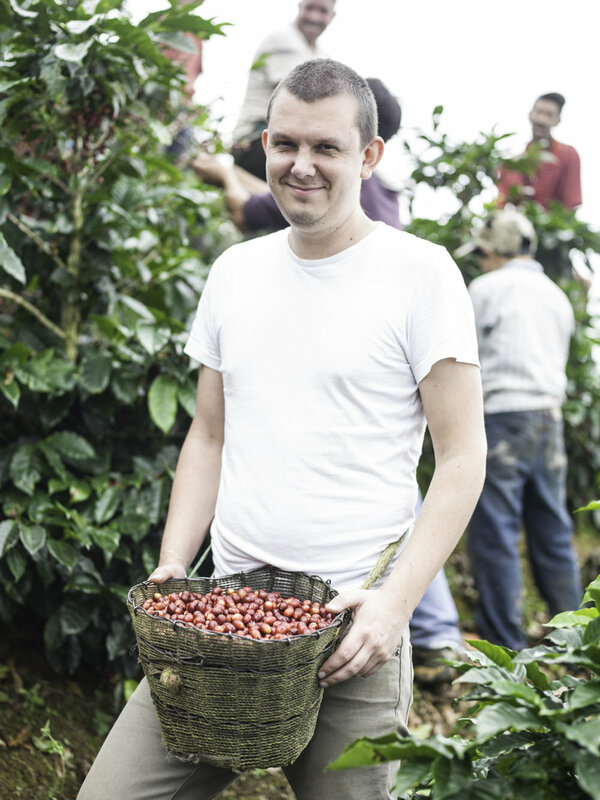 Buena Vista has been under LPZA’s management since 1998 and the farm has been planted with coffee since 1991. The biggest challenges for Buena Vista are disease (especially roya) and drought. Projects include replanting all the catimor with gesha (seeds coming from Finca Carmona, a farm owned by a relative of LPZA’s, Maria Zelaya) and replanting a plot of 3 ha currently planted with bourbon & caturra with a newer bourbon strain that grows shorter (easier to pick) and has a better cup profile. 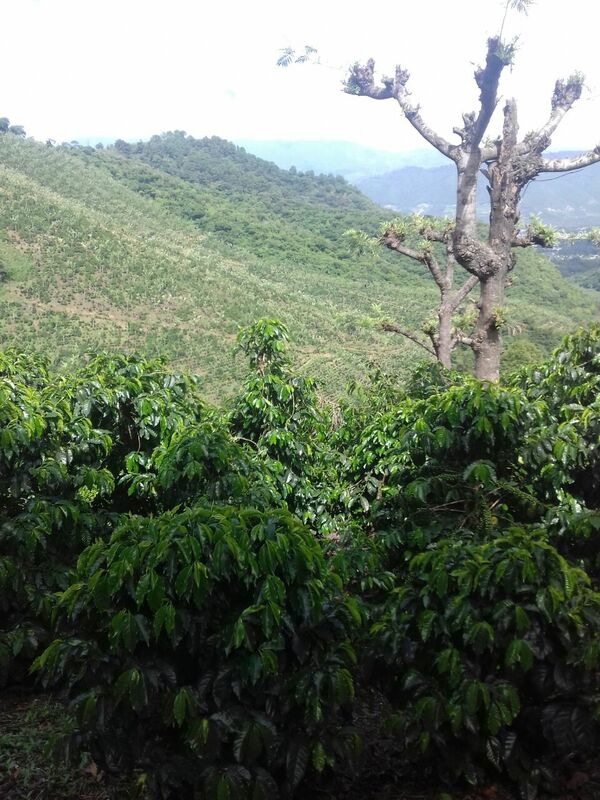 1 ha of Buena Vista has been planted with the java variety and will first harvest next season. The farm’s coffee trees are fully replanted every 30 years, with the first pruning cycle occurring after seven years. Pruning occurs every year, while stumping occurs every third year. 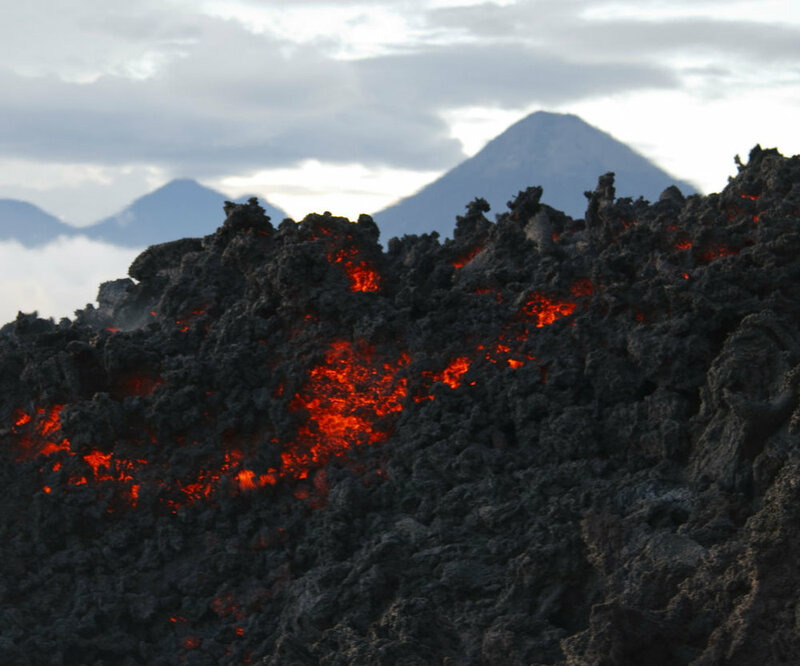 El Pilar is located just outside of Antigua and is owned and managed by Juan Carlos Chen. 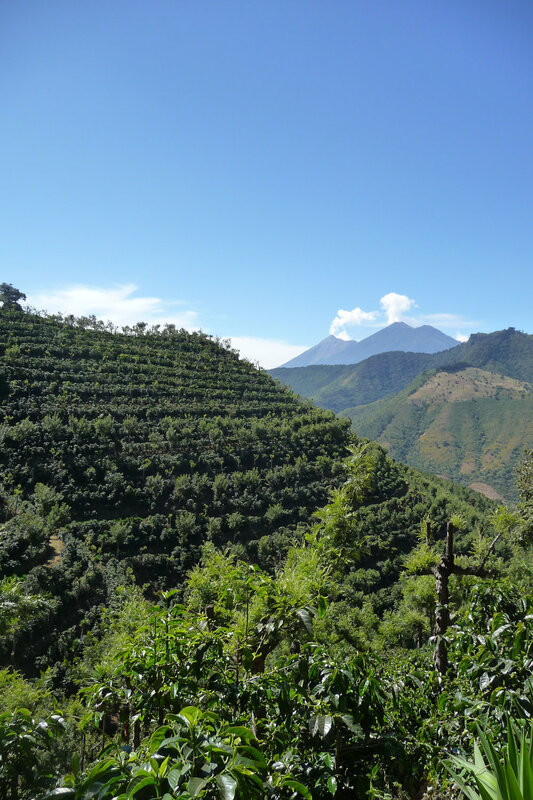 The farm area is over 1900 hectares of which 90 hectares are dedicated to coffee. The varieties grown here are Bourbon, Caturra and Catuaí. 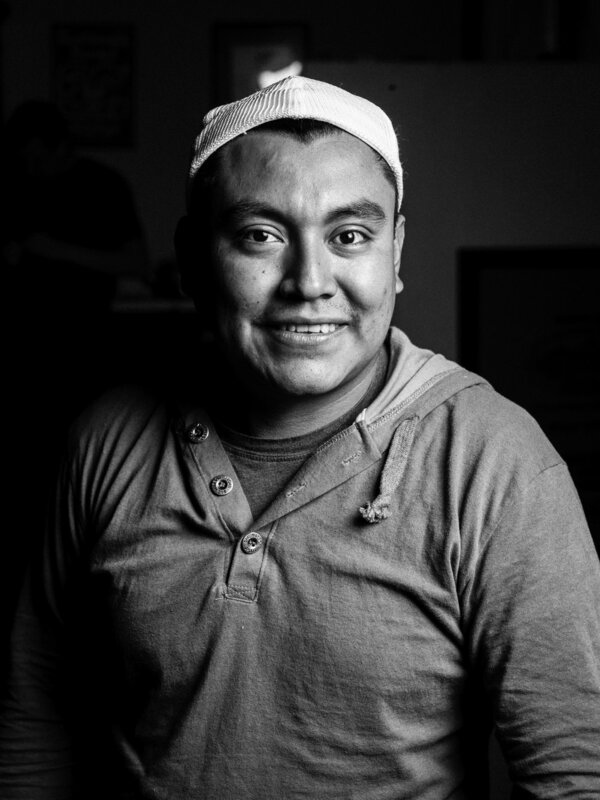 The agricultural management is starting to be stricter, especially when it comes to plant nutrition and Juan is looking to produce with a sustainable focus in mind. 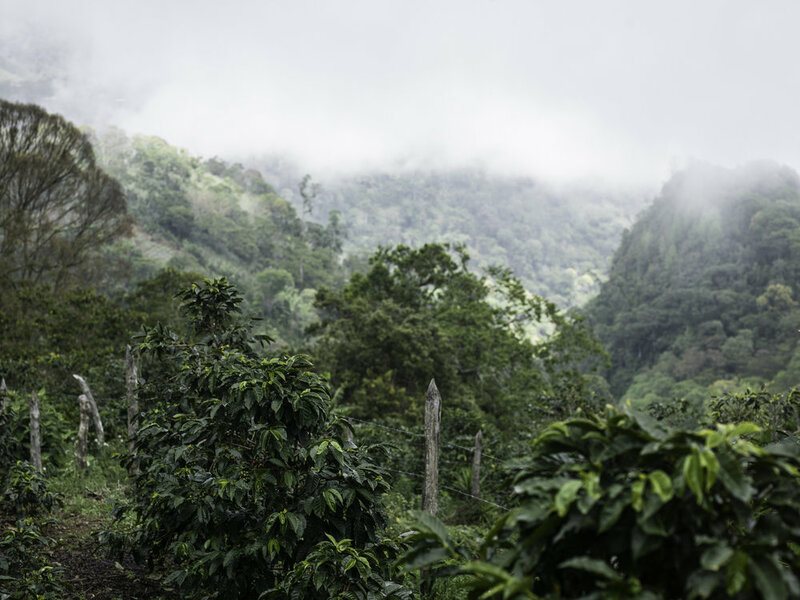 This focus is evident in the fact that the land not being used for coffee cultivation is managed as a natural reserve. Most of the farm’s activities are focused on conservation. 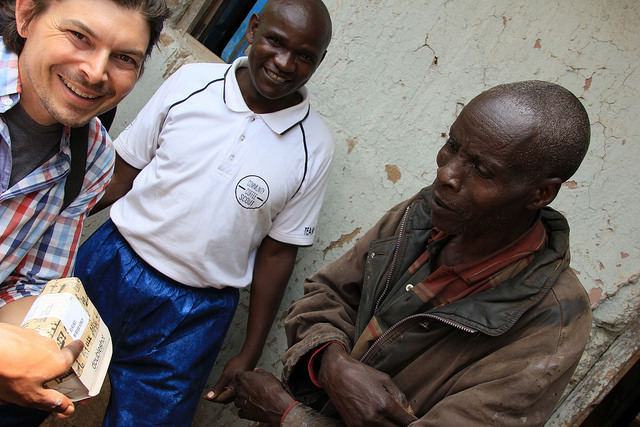 When it comes to coffee, a mix of organic activities take place in order to keep conventional agriculture techniques as a last resource. All the tissue taken from the plants turns into organic manure for the plants, chemicals to control diseases and pests are the last option and implementation of soil sampling with satellite technology is the newest innovation at the farm, in order to have a strict fertilization protocol. This technology helps the use of as little chemical fertilizer as possible, which in turn helps to avoid the contamination of groundwater. 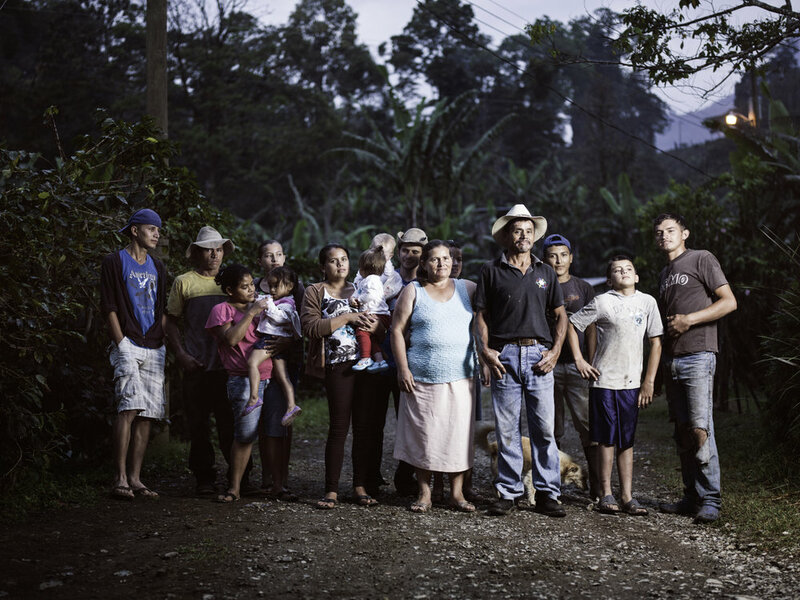 La Florida is owned by Rodolfo Benavente, who has worked in the coffee world pretty much all his life. The farm is managed by a relative, Víctor Hugo Juárez, and Victor has been steadily improving the management of the farm every year by, for example, “stumping” the older trees (80 years old!) in order to renew the trees’ tissue and increase productivity. Stumping is a pruning practice wherein the tree’s stem is cut down to just 10-15 cm above the soil. 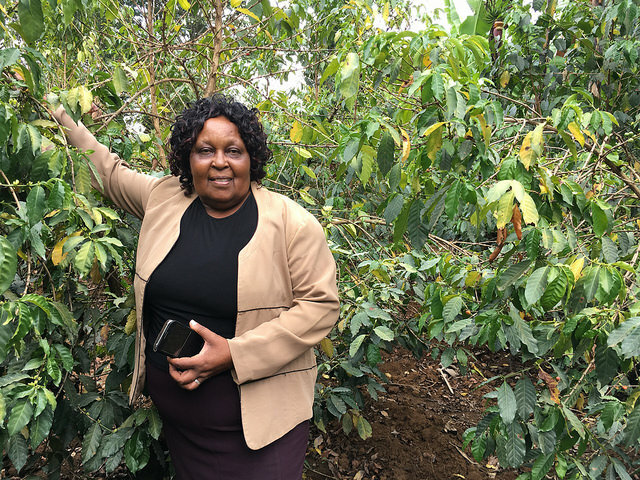 As one can imagine, this practice is a huge investment, given the length of time it takes for the plant to regenerate and produce cherries again. Although this practice has given the family a hard time, they understand the long-term benefits of it and results are starting to show: increased quality and productivity. As well, keeping the old trees which have historical significance to the family. Additionally, the family is starting to plant new varieties. La Florida experiences a late harvest due to the altitude, so the harvest season goes from the beginning of February to the end of April. 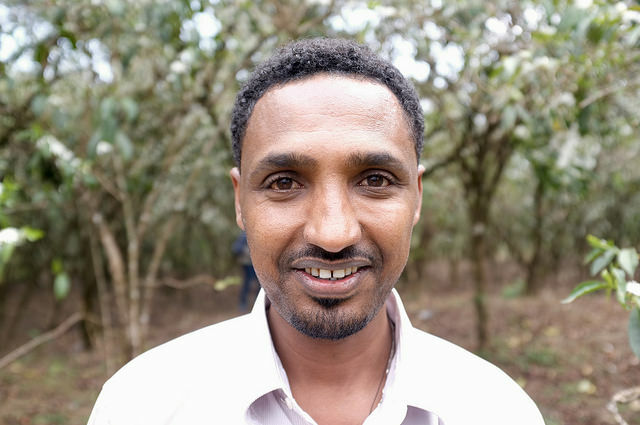 There are two to three rounds of hand-picking (with consistent people year to year) and the coffee is sorted at the wet mill located at the farm. Drying takes place on the farm’s own patios too. 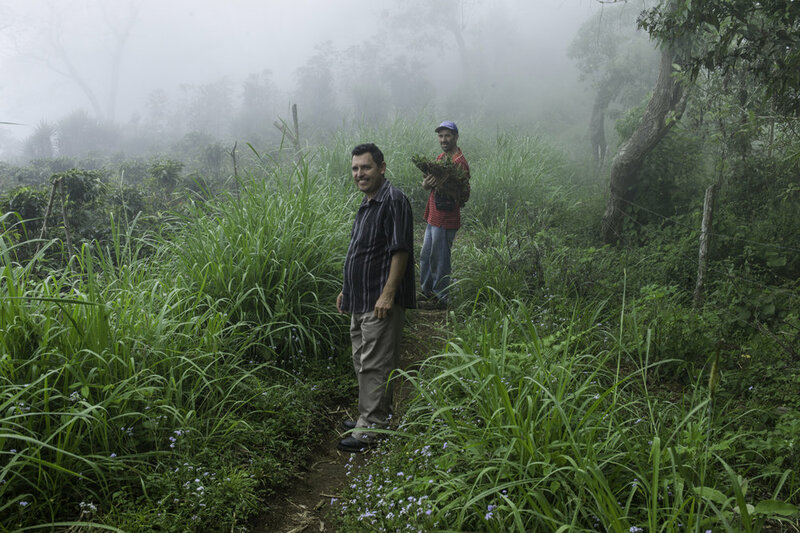 Bella Vista is able to get La Florida’s coffees with the help of Byron Benavente (Rodolfo’s son), who helps outsource coffee from that area. Byron has also facilitated help/consulting for the family to improve in agricultural management and processing at the wet mill. Harvest season: December- April (Peak: last days of January and the beginning of February). Chuito is owned and managed by Luis Pedro Zelaya Aguirre – the owner and operator of Bella Vista Mill in Antigua. Varieties grown on the farm include Villa Sarchí, Bourbon, and Caturra and gravilea trees are used for shade: strict management of the shade is employed, as it is very important for the growing process. 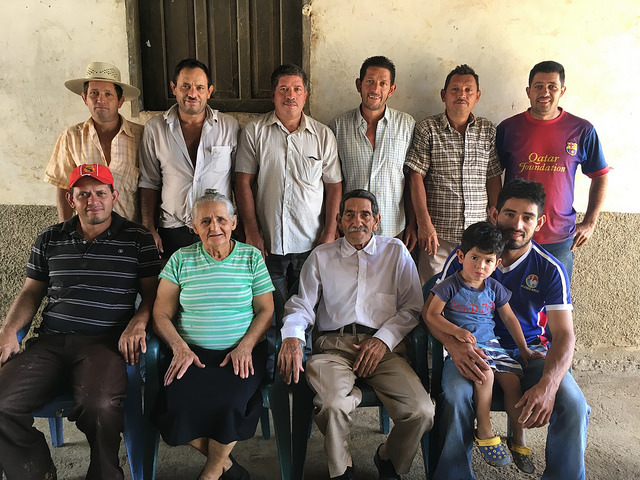 Renovations undertaken over Mr. Zelaya’s management of the farm has allowed for the separation of lots by variety and harvest days. Specialized agricultural activities overseen by Mr. Zelaya ensure good production yields and high quality. In addition, cherries are hand-picked by workers living near the farm, creating a good source of local employment. After cherries are picked, they are taken to Bella Vista for wet processing and dry milling. Coffee is separated by day of picking, variety, and altitude. Once separated, the coffee is either sun-dried on patios, or dried in the greenhouse, which provides a controlled drying environment leading to better cupping results. Harvest season: December- April (Peak: last days of February and the beginning of March). 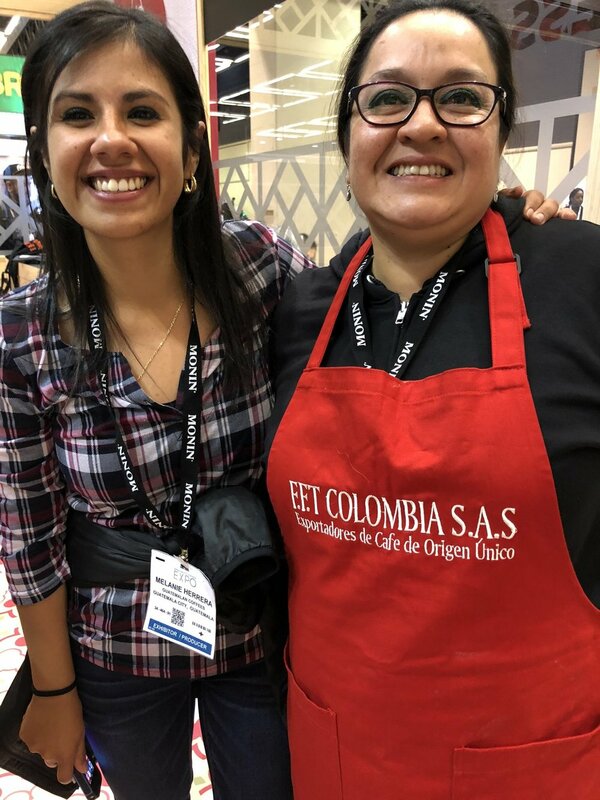 Elizabeth de Figueroa and Eduardo Figueroa are the owners of Finca San Juan, which has been managed by Luis Pedro Zelaya Zamora since 2010. The harvested cherries are processed at Bella Vista (a wet and dry mill). 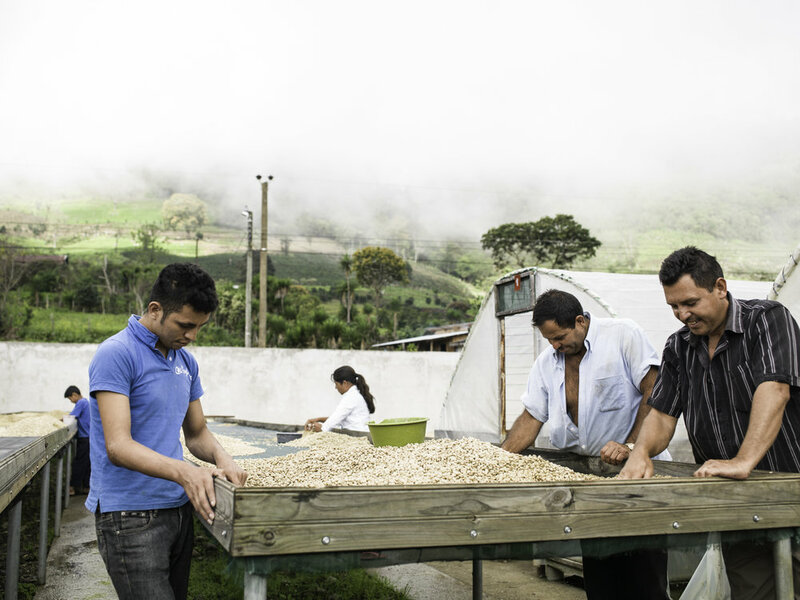 As with all farms managed by Luis Pedro, renovations on parts of the farm allow for lot separation which provides the possibility of offering coffee with greater quality and transparency. Bella Vista keeps strict adherence to specific agricultural activities to ensure high production and quality. Cherries are hand-picked by people from around the area near the farm. Once cherries are brought to Bella Vista wet mill, they go through the whole process of depulping, fermentation, washing and the drying. The coffee can also be sun-dried on patios or in the greenhouse. After some resting in the Bella Vista warehouses, parchment goes through dry milling and is then ready for export.